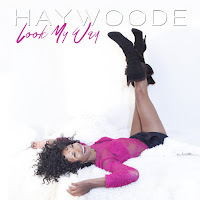 Haywoode is best known for her huge hit “Roses” which reached No.11 in the UK Top 20 back in 1986 and followed her Stock Aitken Waterman written and produced hit “Getting Closer” which was then later covered by Kylie Minogue as the B Side to “Locomotion”. It’s time to return the honour! Co - owner of Wonderlick Productions, a music production company in Miami, founded in 2010 with Producer/DJ Soundsinsane, Haywoode returned to the studio in 2011 - releasing a limited edition of the album Bounce Back that now sells for $299 online. After signing with UK pop label Energise Records she issued a big club re-working of “Roses2018” which rapidly gained a new set of fans worldwide. Haywoode has won a loyal following of S/A/W fans and appears regularly at PWL & 80s music themed events. Not being able to keep good songs down the “Bounce Back Deluxe” album will be refreshed with added mixes and tracks, including her scintillating new single - “Look My Way”. It was pure serendipity that Haywoode discovered last year that “Look My Way” was actually written by producers S/A/W with her in mind. Fate moves in mysterious ways and Kylie was so lucky to snap the song up for her groundbreaking smash debut Kylie Minogue before Haywoode had a chance. SO NOW HERE IT IS, RECORDED BY THE ARTIST as it was always destined to be.